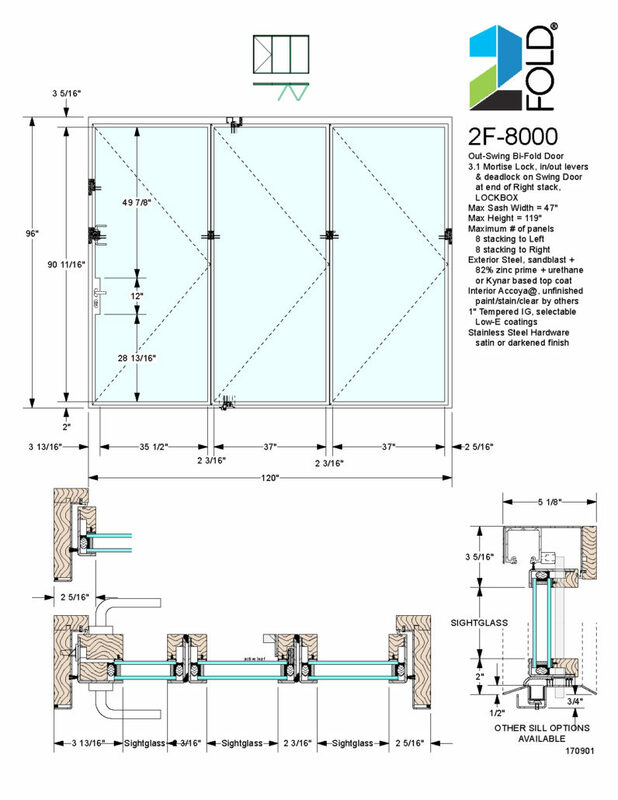 The 2F-8000 folding door is the standard out-swing 2Fold® Folding door system. The exterior and structural components are steel. The interior surfaces are Accoya®: the most stable and environmentally responsible wood in the world. 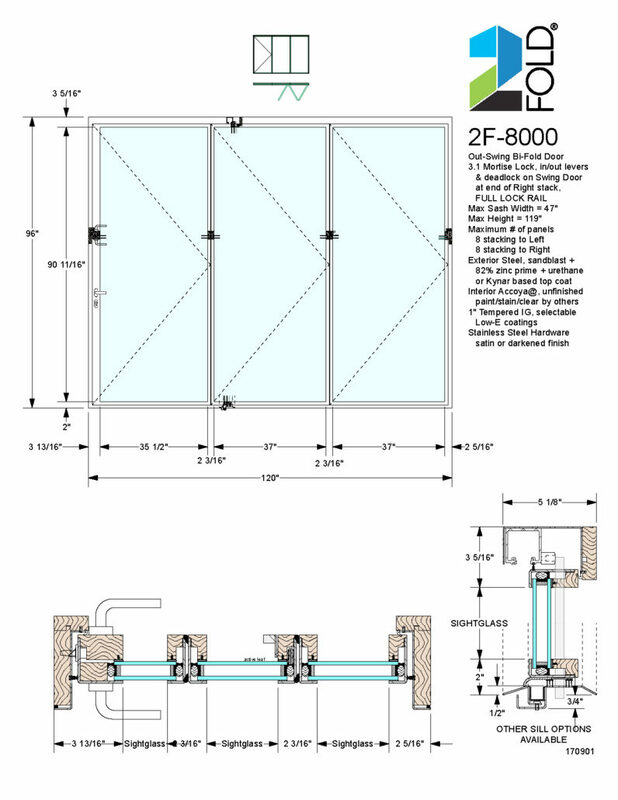 Below, you can see vertical and horizontal sections of the windows. These sections show how incredibly thin this strong and powerful system is. 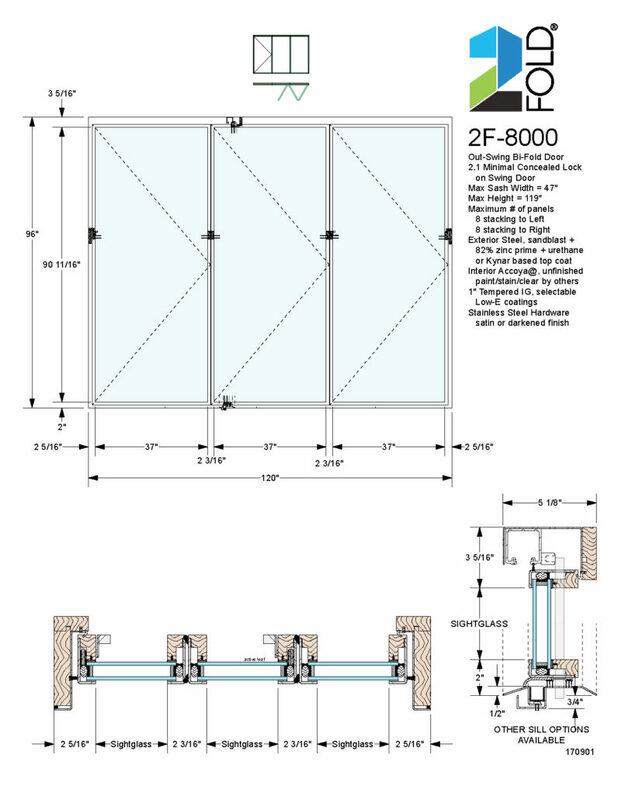 Up to 8 panels can stack to the left and 8 panels to the right. 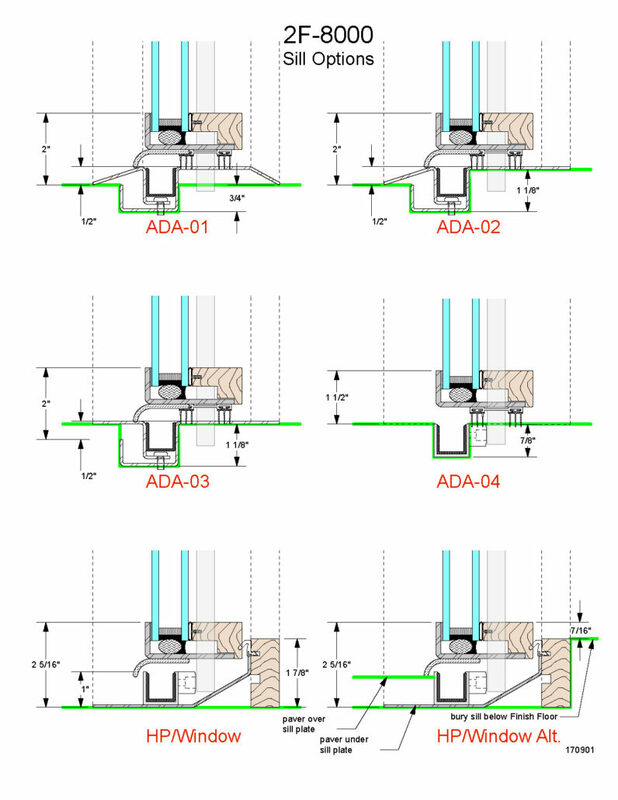 Swing doors naturally occur at the end of the left or right stacks that are odd numbers. 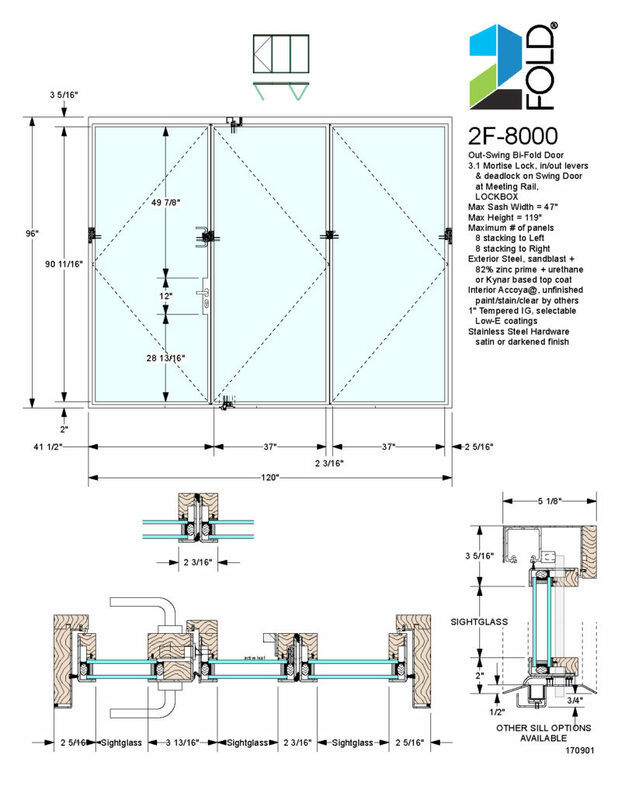 This allows for almost any possible placement of an egress door in your application closest to where it fits the rooms natural flow. 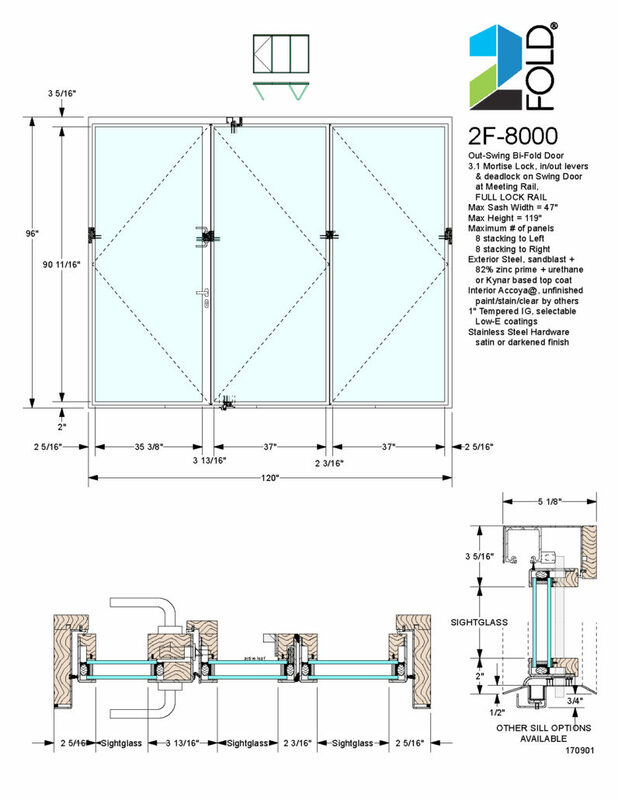 2Fold@ doors are available with large sash sizes and thin frames. The combination provides 35% more glass area, which translates to better view to the outside and more natural sunlight coming in.